Bitcoin needs no introduction: the world’s first digital currency is well known to all – and even those who have no connection to the financial sector, digital or otherwise,regret not acquiring a bitcoin or two a decade ago. That bitcoin is just one in a series of intriguing and innovative digital coins which currently exist in the developing Blockchain market – led by Ethereum, the second largest digital currency in the world, with a market value estimated at about $70 billion. One of the pioneers of Ethereum is Joe Lubin (53), who can be found among the top five on Forbes’ list of the Richest People in Cryptocurrency, with an estimated fortune of between $1-5 billion. Lubin, a Canadian who celebrated his Bar Mitzvah in Israel, currently manages ConsenSys from his place of residence in New York. ConsenSys is a multi-faceted company, engaged in the establishment of decentralized projects, primarily on the Ethereum platform. 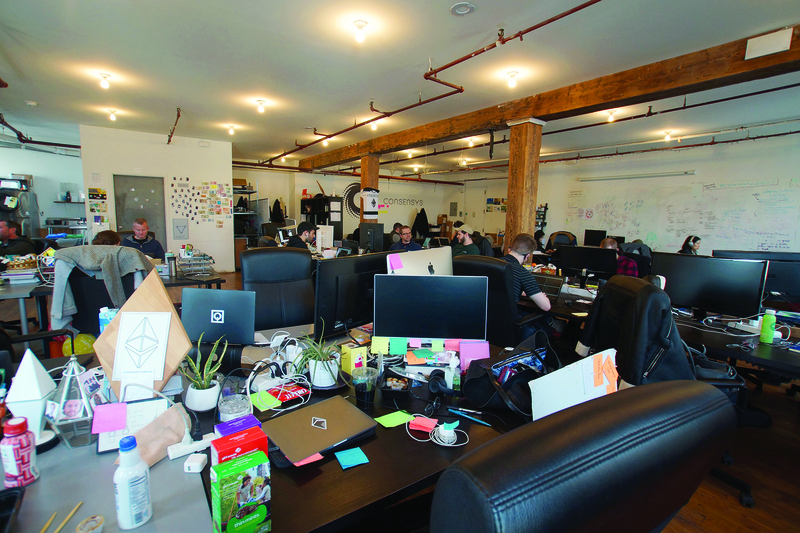 The unique company employs over 500 people in a variety of fields, and is growing at a rate of approximately 50 new employees monthly. 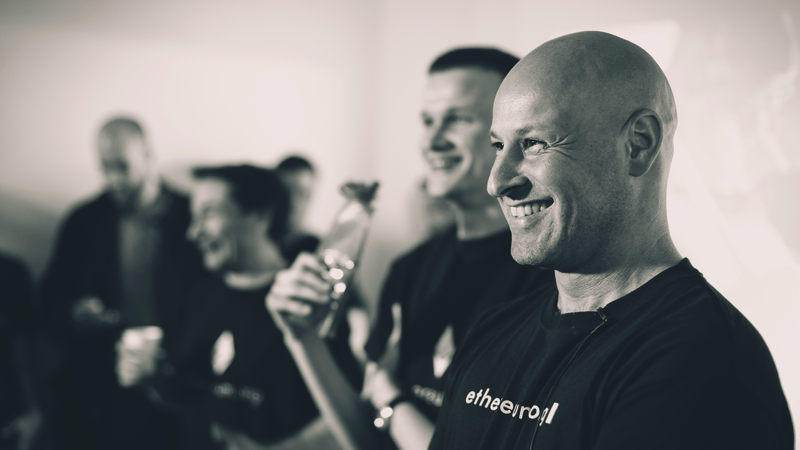 According to various publications, Lubin was the biggest investor in the Ethereum coin in its first years: “I imagined how we could make the technology of decentralization accessible and to enable millions of developers all over the world to create a simple and convenient platform for creating projects on the blockchain,” he says. ConsenSys is an exceptional creature in the familiar high-tech landscape, and this can be seen in every aspect of the company’s activities. The world of digital coins and blockchain technology holds many challenges for entrepreneurs, since it requires intensive work on the part of lawyers, accountants, and security consultants, not to mention the human capital required to start a venture in the field. ConsenSys is trying to beat the challenge by way of an innovative investment model and incubator – ConsenSys Labs (see box), which offers salaries to selected entrepreneurs for the duration of the development period, as well as gratis legal support and assistance in coin offering. 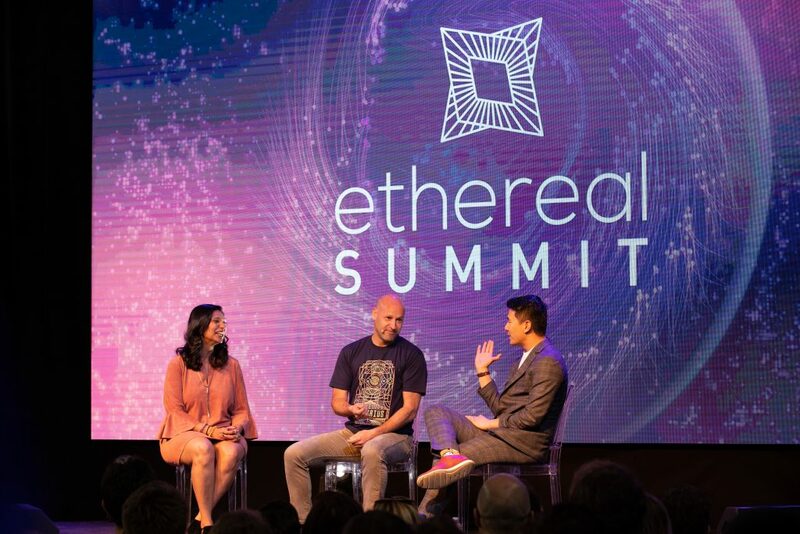 With potential of this magnitude comes great competition: “ConsenSys has plenty of competitors that are trying to build a whole ecosystem for entrepreneurs in the blockchain field; Cardano, Qtum, EOS, DFINITY, RChain, and others,” lists Lubin. But it seems that ConsenSys is benefiting from the gap it created by being first, in order to establish its competitive advantage with the Ethereum coin. How did you recognize the need for an ecosystem for developers? “That moment was when I read the Bitcoin white paper. I understood pretty quickly the power of decentralization currency, and instead of relying on institutions, instead of complaining about them and trying to ‘occupy everything’, we had the ability to take it into our own hands and build an alternative infrastructure. “What followed was not planned. I felt that the space was too amateur to build a business in it. I felt that all the businesses stood up by naive crypto anarchists idealists, and as much as I sympathized with them, they would get swept away, and that is pretty much what happened. But the space has matured, and the Ethereum project was compelling enough to me to stop living in paradise and travel around the world, and work 16 hours a days, 6.5 days a week. Because I thought it was important. Same thing for ConsenSys: we didn’t intend to build it in its current form, we just gathered people to build some stuff on Ethereum, and the rest has evolved pretty organically. 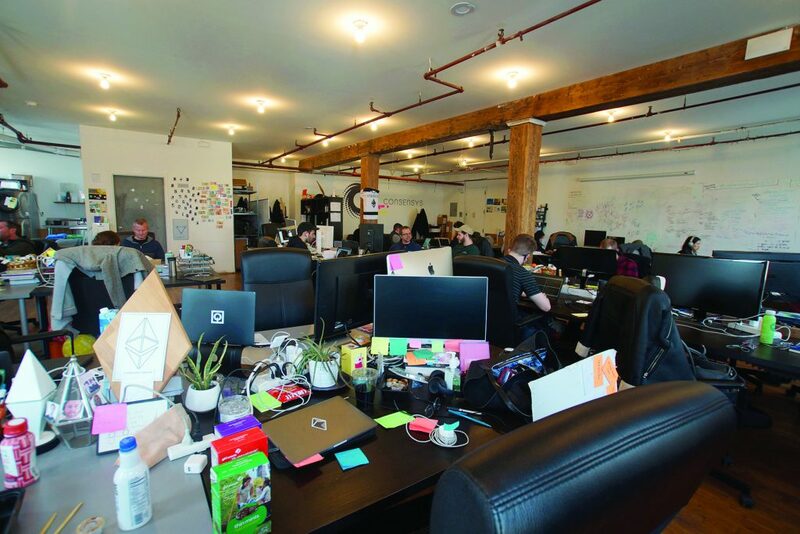 “I believe we’ve become a really big magnet in our little ecosystem so that many incredible people have been attracted to come and work with us. Early on lot’s of people showed up at the door and said I’m not going to leave until you hire me, and we still get a lot of that. We get tremendous interest from a diverse group of people. Lawyers, MBAs, Doctors, Designers, etc. All equally moved by this. This wasn’t any grand plan I’ve put together, if anything, it is the universe and its wisdom”. So you built a company that builds companies. How do you plan something like that? In about two weeks you are planning to announce the beginning of operations here. What is your for Israel? 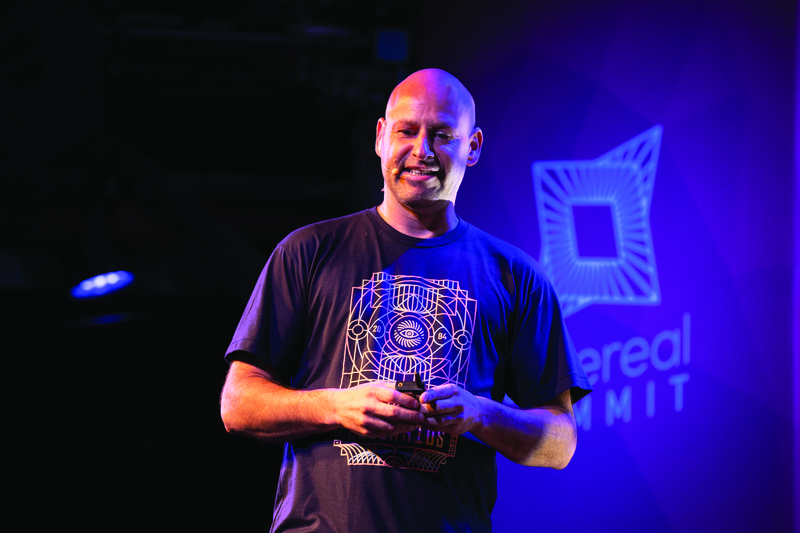 “We are building important operations in Israel, since Israel is the startup nation, and it would be a shame to miss out on such an important player in the market. Until now in Israel, similar to Silicon Valley, we didn’t feel that they needed us. In these places, entrepreneurs have the freedom to build what they want and they have the technological ability to do that. “We recently saw the opportunity to storm these markets because of the Facebook and Cambridge Analytica case, and the entire field of user’s content protection. Those who are up to date on what’s going on will know that users already understand the enormous power in the hands of the corporations, and the idea of decentralization and the user’s exclusive control over his own information begins to sound sensible and necessary. “We see ourselves as an organism, one body, one group, in which everyone does one thing for the success of the entire organization. Like a kibbutz, everyone is working towards a shared goal. We created an organization that knows how to establish an enterprise, which is then offered all the services and reinforcements it needs from every area of the blockchain,” says Lubin. 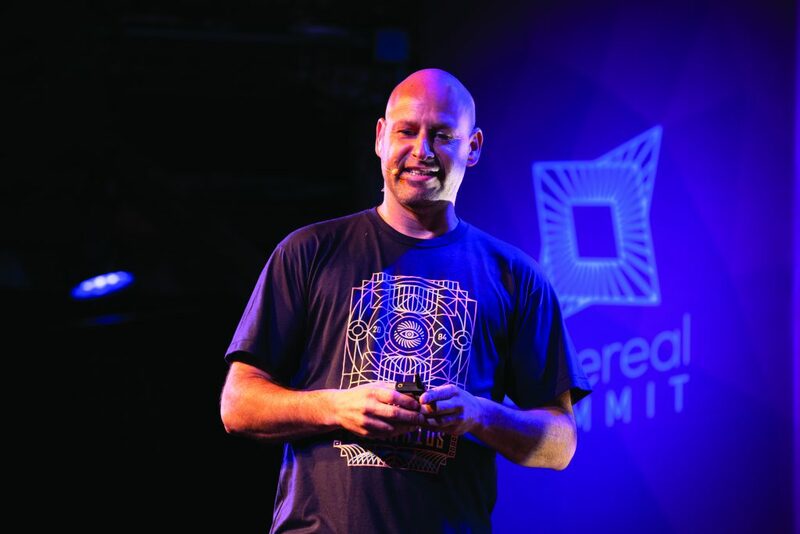 “You could say that ConsenSys is the first decentralized kibbutz,” he jokes. The market is unstable. It seems as though the world is moving towards more regulation for coin offerings and the tightening of supervision over startups on the market. Where do we go from here? What do you think about the current prices of bitcoin and the other digital coins? The hit TV show “Silicon Valley” dealt with blockchain and coin offerings. Has the phenomenon entered the mainstream? What do you think of the future of this technology – is it here to stay? “I have no doubt that the blockchain is here to stay. If until now companies have set up and built closed databases for themselves and worked alone for their own benefit without connecting to the outside world, today, by means of the blockchain, you can build databases that are able to communicate with one another, to build companies that help one another, and to move humanity forward. Yesterday, for example, at the blockchain conference in New York, we announced our collaboration with the movie giant Amazon – which will enable the sharing of databases with different companies. Do you think that 50 years from now, industries like banks and credit card companies will simply vanish? What obstacles do you anticipate in the coming years?